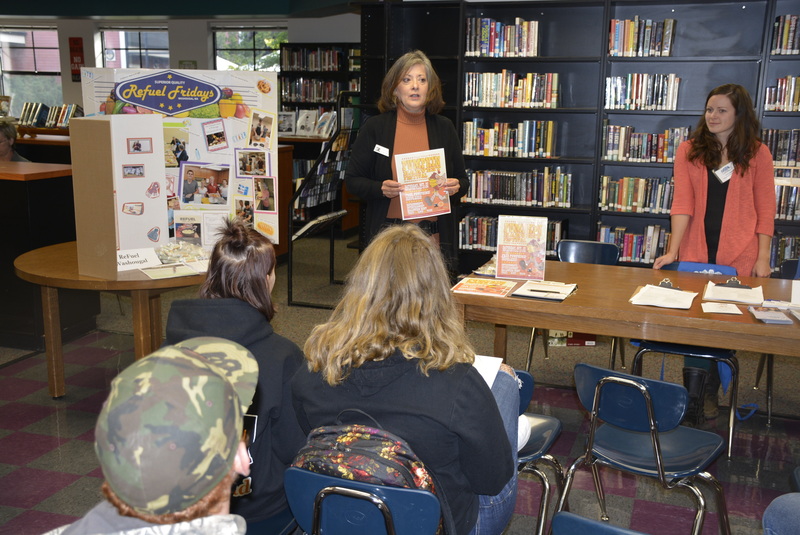 Representatives from more than two dozen local agencies and organizations met with Washougal High School students at the WHS Volunteer Fair on October 4. Students attended to explore ways to get involved in a wide variety of activities through performing community service and earning volunteer hours. Each student was invited to select specific organizations to hear from in a series of three ten-minute sessions. Presenters gave an overview of the volunteer opportunities they have to offer and answered student questions. Some groups offered the chance for students to sign up to help on future projects on the spot. 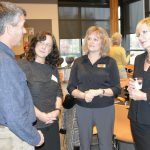 Participating organizations represented a diverse set of interests including East County Fire and Rescue, Evergreen Habitat for Humanity, Red Cross, City of Washougal and Share House. WHS Senior Madison Gehrke said it was her senior English teacher, Ms. Carver, that encouraged her to come and learn about these organizations. “It is great to see all of these places we can help,” Gehrke said. “I really like Refuel Friday. I like working with the homeless.” While at the fair, she also volunteered to help at the upcoming Pumpkin Harvest Festival family event in downtown Washougal.